Greetings to everyone and welcome to our very first Avatar Dialler Blog. We would like to introduce ourselves first. We are a call center solution provider with the name of Avatar Dialler. Avatar Dialler provides a complete solution for your call center whether you are an inbound or outbound call center. We know that almost every industry is running their own call centers even if they are not solely working on products and services. With this fast growth of call centers, come the existing solutions as well. We understand all your needs and requirements thus we offer the best solution that you can get. 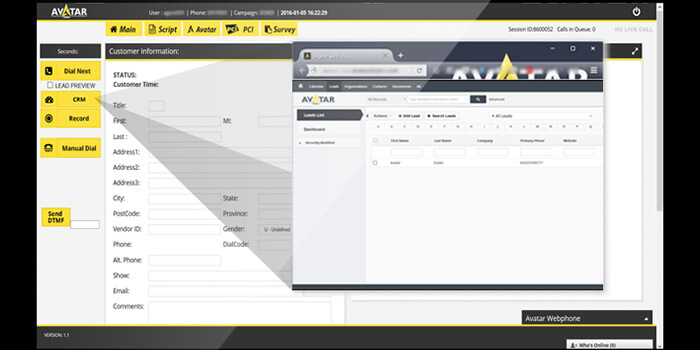 With Avatar Dialler, we provide the best pitches, predictive dialer, transparent billing, TPS Filtering, Internal Chat, Local Caller ID, IVRS, PCI Compliance, CRM, WebPhone, Robo Calling and much more. We also provide web Hosted solutions such as Hosted PBX with or without DID depending on your requirement for your organization. Our experts are always willing to help you diligently whenever you need. From product to technical support, we do it all, in the best way ever! In the future, through this Blog, we’ll be discussing on call centers, from the scratch to achieving milestones, and what technologies and strategies do they use and are the best. Not only technology will be discussed but we’ll go through techniques and tips that are needed for the best team for any business. So, in the future we will take a thorough look at the call centers and see how they work and how should they work. From agent to customer, how this procedure goes and how it should be like. We will be covering diverse topics including the latest call center solutions and trends, customers and their swinging moods, we’ll be discussing all these aspects. We would like you to know that we are open to ideas so we would really appreciate your thoughts and suggestions. Your feedback will always be appreciated and encouraged. Your questions and perspectives are always welcomed. Also, as everyone has freedom of speech so we take criticism as well and respond to it positively. So, we are looking forward to discussing the business-related matters with you and would like to know your point of view as well. If you want another way to share your opinion instead of leaving public comments then you can contact us through our email address at contact@dialer360.com. You can also connect with us on LinkedIn, Facebook, Twitter and YouTube. We look forward to meeting you again in our next post. So do not forget to join our discussion in our next post and share your ideas with us. See you again!